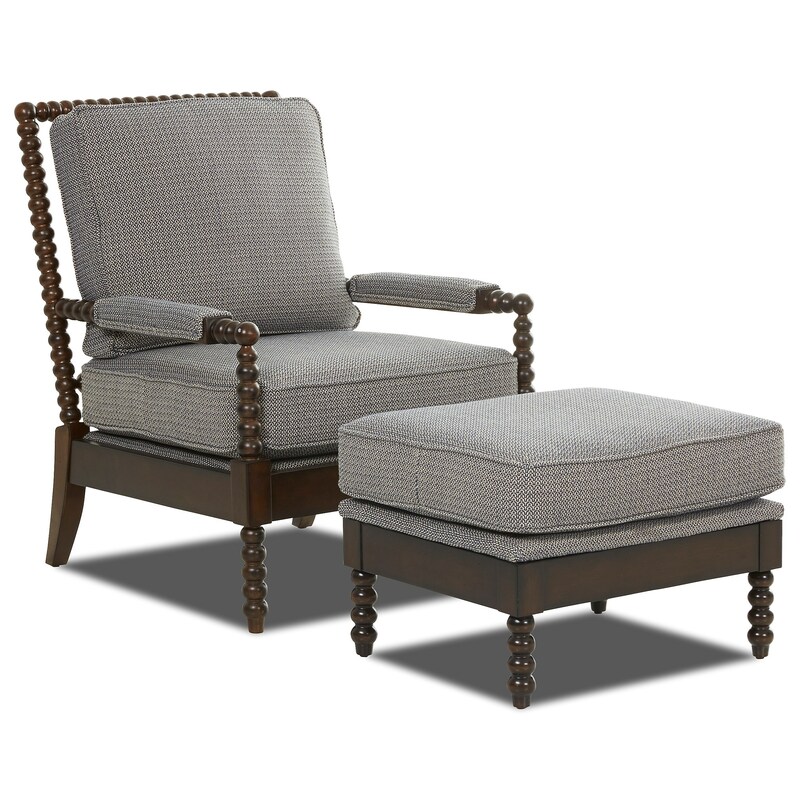 This accent chair and ottoman set has exposed wood around the bottom and spool-turned legs for a lot of style and the ability to change the look of a space. The ottoman brings a comfy spot to prop your feet up. The foam cushion has welted trim for a clean look and a variety of fabric options let you create the perfect set for your home. The Chairs and Accents Rocco Accent Chair and Ottoman Set with Spool-turned Legs by Klaussner at Lapeer Furniture & Mattress Center in the Flint, Michigan area. Product availability may vary. Contact us for the most current availability on this product. The Chairs and Accents collection is a great option if you are looking for Traditional furniture in the Flint, Michigan area. Browse other items in the Chairs and Accents collection from Lapeer Furniture & Mattress Center in the Flint, Michigan area.